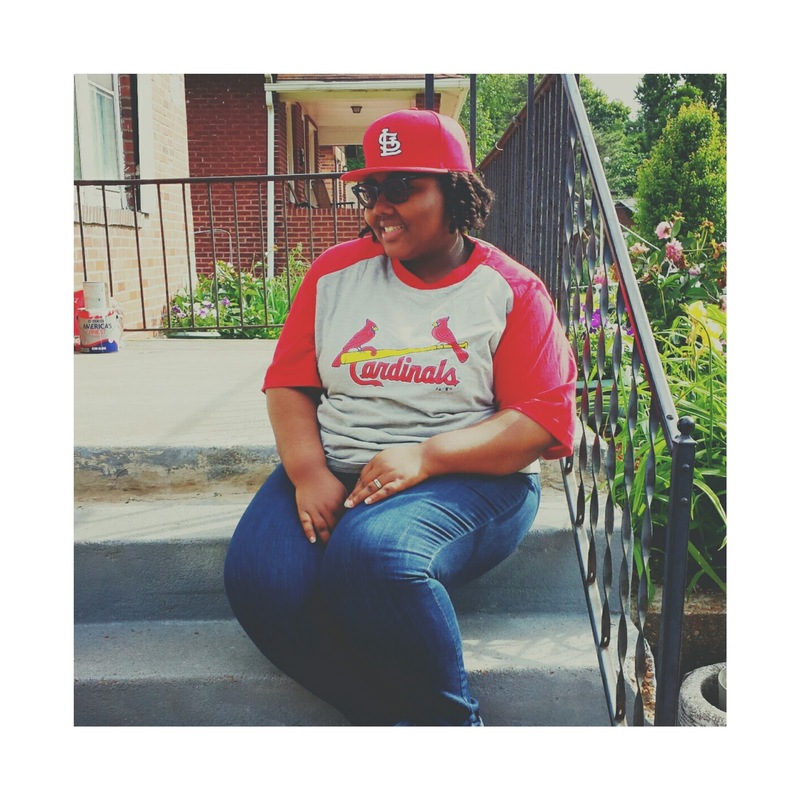 Recently I was afforded the opportunity to make an impromptu trip to visit my family in my hometown of St. Louis! If you follow me on my social medias outlets you've probably noticed a few pics I was tagged to. I've waited a few weeks to write about this trip because travel this time around was for sheer pleasure of sharing some quality time with my immediate family. I've had some time to reflect on that trip and I wanted to share a few "moments" I collected while there. First, let me share that this was my first time flying solo with my little Pumpkin! Sheesh! I was so happy to have my hubby with me when we'd traveled in December. Sir couldn't make it this trip due to work. He missed out on some good ole in-law fun! The trip went smoother than I thought. Navigating the airport and TSA was actually a breeze. Everyone's so helpful when they see you struggling to collapse/set-up a stroller with one hand and holding your squirming child in the other. Some of my fondest memories came from an impromptu family photo shoot! It all started because my dad had a few new St. Louis Cardinals items he'd picked up while attending a game and no one was the perfect size to wear them! Well of course I tried them on. My oldest niece and I proceeded to take selfies out on the porch with our new *free* threads! The following day I attended church with my family...our pew was busting at the seams (full house)! LOL Afterward, another niece (one half of the twin babies) and I shared a few clicks of the camera since our ensembles matched! 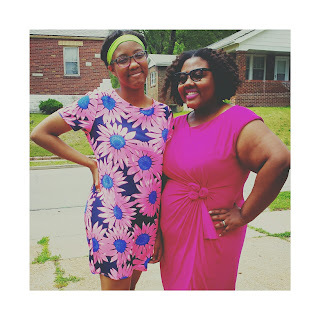 We tried to do sassy pose and ended up with tons of horrible candids! When I first arrived, we headed to one of my favorite places for fresh food and the sheer atmosphere...Soulard Farmer's Market. It's been open since 1779! All and all we had a great time...our trip coincided with Memorial Day, so we had tons of family, food, laughs and collected a few more memories. Here's a precious little candid moment I captured between my mother (Grannie) and Pumpkin. 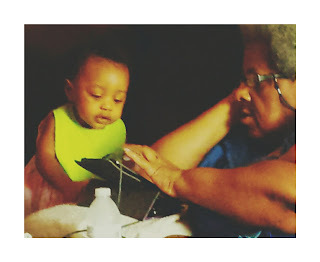 They were having a little tech talk about a game on Grannie's Kindle Fire! This picture alone pays for the next plane ticket in full! 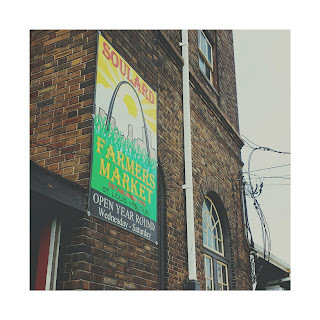 Hey lovelies, interested in more photos from my STL trip? I've added some new photos today! Disclaimer: All ideas expressed here were by me, Shanna Fife, unless otherwise noted.